CYPRUS – HOW WOULD YOU REACT TO BEING ROBBED? It’s important to realise that what’s happening in Cyprus at the moment is seismic. European Union politicians, bureaucrats and bankers are colluding to plunder the assets of ordinary citizens without an iota of democratic consent. If they pull it off, it will in the fullness of time be rolled out across the Eurozone and quite possibly the UK and the US and in other advanced economies staring bankruptcy in the face (money printing notwithstanding). Will they pull it off? That depends on the scale of uprising in Cyprus. What would you do? Let them screw you over, or hit the streets? This won’t be the first time in history that a government – elected or otherwise (‘otherwise’ in the case of the European Union) – has moved to seize the assets of its citizens. Why should anybody think that what’s happening in Cyprus now might be unprecedented, even if it is deeply unsettling? The thing to note here is the element of surprise (a good military principle). If this is ever going to happen to you and me, there’ll be no warning. Forewarned is forearmed and forearmed means a bank run; indeed, forearmed could well mean a systemic bank run. I’ve felt for some years now that, when all’s said and done, the uncontrolled undoing of the Eurozone – if it came to that – would come in the form of a systemic bank run. The underlying theme would be that the euro currency was no longer fungible. It’s worth noting that back in September 2011 the Boston Consulting Group (BCG) by and large predicted these events in Cyprus. 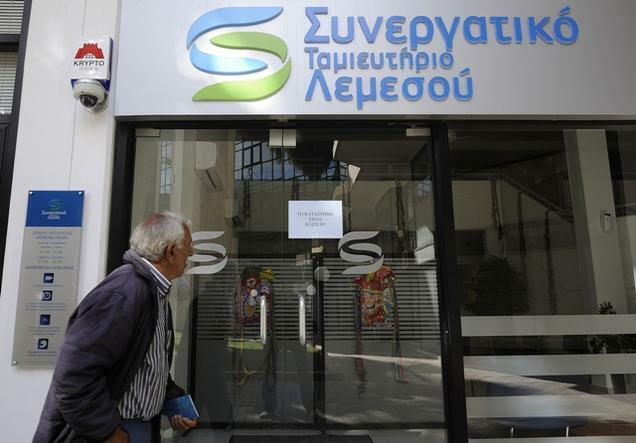 The BCG also pointed out that it won’t stop in Cyprus. The BCG argued that, “such mandatory, coercive wealth tax is merely the beginning for a world in which there was some $21 trillion in excess debt as of 2009 … a number which has since ballooned to over $30 trillion. And with inflation woefully late in appearing and “inflating away” said debt overhang, Europe is finally moving to Plan B – and is using Cyprus as its Guinea Pig”. Desperate times, desperate measures. The politicians and the bankers are stuck between a rock and a hard place. Ripping deposits from bank accounts is a quick and easy way of filling the state’s coffers; ’twas ever thus. Governments have been robbing their citizens since time immemorial. The problem for the euro-nutjobs is that the second they move to seize personal assets, as now in Cyprus, they simultaneously undermine the very currency that they’re grappling to sustain. Damned if they do rob us, damned if they don’t. Things are looking up for those of us who live in permanent unease about “the tyranny of Brussels” (to coin a term used by the Lord Mayor of London). PS When I say ‘state’ of course, in this case I mean the nebulous, unelected, unaccountable, er, ‘thing’, that is the European Commission, the European Parliament and the European Central Bank all working together to smash the various nation states of Europe (and the UK). The European Union is really nothing more than a circle of political elites all holding hands around a tyrant’s charter (the Lisbon Treaty). The current phase of the battle against ordinary citizens is the crushing of Cyprus (with much German influence behind the curtain). PPS Bear in mind too that the mainstream British political class believes that the European Union is an all round good thing (always a potential source of enormous personal wealth for politicians and bureaucrats). That’s why we’re not allowed a say in the UK’s continued membership of the tyranny of Brussels. As all the Cyprus ‘deal’ details come out, it sounds more and more like a good old-fashioned East-End protection racket where the bad guys turn up and threaten the inhabitants with dire consequences unless they pay up. Cyprus has come as no suprise to me and to a certain extent has vindicated some of the “investment” decisions I have made over recent years (I have been quietly trying to make my family’s situation more robust since 2008, much to the amusement but latterly turning to quiet resignation of my long suffering other). I’ve diversified a lot financially (Ok I admit I’ve sacrificed full tilt stockmarket reramp but that was a price I needed to pay for my diversification….incidentally, good luck with that if you are in to the hilt). How so? Well I’ve invested in stuff that is durable and useful, from very small things to the largest, including location, shelter and ‘sustainability’ at its most basic level etc. On a scale that scores access, security, fungibility, as well as best case to worst case outcomes I’ve arrived at a place that is more comfortable but without becoming a zombie prepper US style AR15 tottin looney. I’m not financially rich at all. Practical day to day things range from having a bit of cash on hand (enough for 3 months of basics) to some small physical gold investmens in hand, to Bullionvault investments, to currency accounts, to a 50 acres self-sufficient farm in northern Scandinavia – (retirement investment although I’m only 50, and it was cheap) I’ve invested in country skills and horticulture, my neighbours, outdoor skills, car maintenance, hunting, building maintenance etc. all the things people used to do on a daily basis in my part of the world. I’m an expat but have the local language skills etc. Holidays abroad are of course a thing of the past, we spend quality time up country instead. Isn’t that a big burden in terms of upkeep? Not if you treat it like a working holiday home, wood heating, fresh fish from the lake, what’s not to like? MM – please write about other peak aspects like rare earths as well. Other resource scarcities could impact before energy. What’s your view on Thorium to solve a part of the energy problem in 30-50 years if the project could be got going? Like your blog. Keep it up. I’ve only just found your blog. It’s so refreshing to read your statement about the EU above, since I have felt such frustration at that horrible, despicable institution for so long and haven’t found an outlet for it! I remember having a big argument in my then office in 1991 with a chap from Finland about how we would be forced to join the european common currency since the UK would be unable to survive alone and we were ridiculous to consider such foolishness. I attempted in vain to explain to him both the real agenda behind the idea and the impossibility of it being made to work, short of dictatorship. We have sadly come closer to that dictatorship than I then thought possible. Make no mistake, people like Barroso,Rehn et al are not nice people. They are modern-day fascists and will stop at nothing to save their pet project, one european government led by unelected elites who know better than us how to organise things. Happily, they have not the slightest clue about economics and in the end, the maths will get them. Regrettably, it will of course get us as well but if it results in a freer market/society in the end it will be worth it. Ah, the kill the EU brigade – Or bite the hand that feeds you. I want a strong and propsperous economy that is built up on the efforts on people producing goods, providing services to the producers and consumers. Wether that is UK centric or EU centris is not important. My concern about leave or kill the EU groups is there is no coherant strategy for if we leave. Paint a picture of life beyond the EU that provides us with the the opportunties we need then you have a winning plan. David, my short answer to your comment is to argue that the United Kingdom and its predecessor countries/tribes traded around the world for a thousand years without needing the likes of the European Union to (supposedly) ensure its prosperity. I want the UK to trade with all nations, but without the ever-burgeoning economic, political and social restrictions that come with membership of the EU. I find it difficult to accept that, on balance, the UK will be better off – in all respects, not just trading – inside the EU rather than out of it. The EU as it is today operates way, way beyond any original idea that it would be a trading community. Why is that? If we accept your premis that trading with the the world as a whole is better than being a member of the EU. How do you see this working, because under successive governemnts we make very little and just about any nation can replocate our service sector. And the only remaining sector that makes money is financial services, which will ultimately follow manufacturing and services to Asia. If we are to come out of the EU -tell us how you would do it so we keep and grow jobs and prosper. It is, frankly easy to say leave, but very hard to map out a credible alternative and in the absence of something better fix what you have. But then you may het your wish soon when Scotland votes on devolution – If there is a yest vote Scotland will be outside the EU unless it asks to join? David, for me what we’re up against as members of the European Union is the sort of political thinking and actions that now pervades the handling of the euro crisis – the euro itself being a political construct. I’ve just put up another post on Cyprus (Again) and I find it hard to refute Ben Davies’ analysis. The politicians behind the arrant madness that is the political construct known as ‘the euro currency’ are the same politicians who seek to ‘run Europe’. Frankly, it scares me to death! The Cyprus bailout was organised by the Eurozone finance ministers who are elected in their member states. All bailout agreements involving Germany money, have to be put to parliament in Germany. Because of the hiuge amounts of Russian money in the Cypriot banking sector they said “we won’t pay”. Hence the levy. Which is in fact tradeable for shares in the bank. Not fair by any means and it should be put to a vote. Map out the proposal and the options and let the people decide. And don’t confuse the Council of Ministers, the ultimate decision making body, from the EU commision which is the Civil Service. the lady in Cyprus voted for entry into the EU and successive Cypriot governments that got her into that state of affairs. It is not nice, but a reality that has to be faced. She is asking, through her goverment, for a loan to sort out the banks that her government let the russians defacto take over. Meanwhile the lady in Germany is being asked ot pay more taxes to provide the money for the loan. and as we know in every walk of life, he who pays, calls the tune. David C – why do you think that the EU (used to be the Common Market – you do remember that?) is necessary for the Uk to trade and develop? The annual net cost of membership, the astonishing plethora of utterly unnecessary regulations and the open-ended immigration risks are alone reasons why we should never be in it. I would definitely support a free-trade alliance – indeed I was naive enough to vote in favour of such a thing in 1975. As I grew older I came to realise that we had joined an organisation which was dedicated to a version of bureaucratic oversight similar to that which I had seen in my business life during visits to the old eastern bloc. Since they are now facing the failure of their project, you can more clearly see this “soviet” attitude in their insistence on overriding any democratic decisions they don’t like and denigrating any opposition by insult (Grillo the clown for example, or the treatment of its own whistleblowers etc). How do you defend an institution which behaves in the ways it does, and cannot even produce a valid budget for over a decade? It is terminally corrupt. It is not the future. Yes I do remember the Common Market and, like you, I voted as well in 1975. At present 40% of our economy comes from trading with Europe, 40% is our own internal economy and 20% comes from global trade. Belgium does more business with India than we do, despite all the aid we provide. Exiting the EU will impact on our economy. The 40% of our current economy from EU trade will reduce, and the 20% from the rest of the world will grow. But nobody knows how quickly these changes will take place and can say what the impact on the economy will be. The EU is far from perfect and it seems to me this is by design. There is a parliament that is voted in, but the real power lies with the council of ministers and the EU commissioners. The people of the United Kingdom elect our ministers who in tern nominate the EU Commissioners. If the EU is not working as we, the people want it. It falls to us to vote for the politicians who will take the actions we want to deliver the society we all strive for. Too many politicians blame the EU for the failure of their policies and ideas and advocate leaving the EU without, as usual, a credible plan to achieve this. So, if you want to leave the EU, tell us how you would do it, where the trade will come from and how our government will find the Wisdom of Solomon to make it all happen when most people don’t even get off their backsides and vote which has been one of the underlying reasons why the Common Market has evolved into the EU today. It is easy to whinge and moan, more difficult to solve the problems and make things better. Must agree with ivar on this one, the banks are bust and the depositors are being offered a 90% ex-gratia refund, at the cost of a 10% hit on their savings. My view, grab it while you can and move your funds elsewhere, pronto, then reflect on your near wipeout. I recall the events of 2007 vividly, RBS and HBOS going bankrupt overnight and a real and imminent risk that the ATMs would be emptied in the morning. I was sat at this very laptop, albeit not in Qatar but at home in Scotland, watching events unfold in utter disbelief. I recall speaking with my father, explaining that the UK bank guarantee was worthless, given the magnitude of events, and thankfully he diversified his life savings in the following few days. Not sure if I’ve answered MM’s question: “CYPRUS – HOW WOULD YOU REACT TO BEING ROBBED?” But I guess I’d take whatever was on offer and would be looking after my family first. Its high time that a warning shot is fired at people “lending” their money to banks without regard to the soundness of the institution. If not for the bailout, the Cypriots, most probably, would have lost a lot more, possibly their entire deposits. The Cypress government does’t have the resources to make good on whatever deposit insure might theoretically exist. I wonder if this is justified by rumours that there’s a lot of funny money in their banks? Either way a lot of innocent people are going to be screwed whilst the elites escape. Wonder how much money was withdrawn from banks last week before the ‘official’ announcement? This has crossed the line IMO, the desparation of the establishment in preventing a major bank failure (and thus the triggering of CDS’s) is rapidly becoming apparant. Me, I am shifting into alternative storage sources (PM’s maybe bitcoin), the deposit guarantee has been shown to be a fig-leaf as they can bypass it by calling this theft a ‘levy’. What needed to happen back in 2008 and stil ltoday is that the banks must be allowed to fail and the burdon picked up by by the shareholders. Government money, if used at all, should be to support and protect deposit holders. If a “tax” is charged as i nthe Cyprus model. It has to be either tax deductible over a period of years, or a bond issued to the value of the “tax” and redeemable at some point in the furure that pays a dividend while open. Banks must be allowed ot fail so that we can build a new economy. Becausse looking up from the bottom of the pile, it is not working at all. Think about what you will need when petrol is at over £2 a litre and buy your bike now – while its still relatively cheap. Then buy a few spares: decent tyres, inner tubes, brake blocks, brake and gear cables, chain. These will only get more expensive – so buy now before inflation. Buy 2 jars of coffee every time you shop and store one of them. Buy 2 bags of sugar and store one of them. Buy that 2 for 1 tinned tuna or corned beef. Use 1, store 1 – rinse and repeat. Keep calm and carry on like this! There is no point in trying to save small sums of money as inflation will rob them of value. Buy things now. Pick things you know you will need. Even in the short term this is a winning strategy. For example: I read somewhere the other day that food inflation has been something like 36% over a recent period. So buy that extra bag of pasta this week 🙂 You just made more than your money would make in a bank by the time you’ve eaten the second bag. I also saw the BCG prediction which quite shocked me with its prescience. And as so many have said, once one does and gets away with it, others will follow. So what does one do with savings? Gold is only useful to a point. The value of Mattress funds will be inflated away. Should we deposit money in one of the Nordic currencies as being both stable and law-abiding? Withdraw it all and stuff it under the mattress? The buggers can’t get it then.